Hoshizaki ice machines are engineered for years of dependable service, even when conditions may not be optimal. We offer a complete line of models with built-in protection against irregular power and water pressure. Every Hoshizaki unit is run-test at their factory to ensure optimum performance and reliability. Internal auger design produces the highest quality ice with fewer repairs and less down-time. 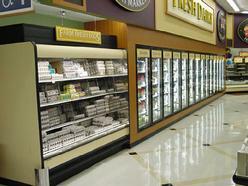 Kysor/Warren has been providing outstanding refrigeration solutions for over 100 years. They manufacture frozen, medium temp and heated display merchandisers, mechanical refrigeration systems, and mechanical refrigeration systems. Providing the industry's safest environments for enhanced food presentation. From model variety and customized designs, to an array of product options, Kysor//Warren assures product solutions. Structural strength and maximum efficiency with lower operating cost. Engineered and manufactured to maintain precise temperatures. 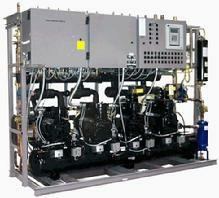 Hill Phoenix manufactures an extensive line of commercial and industrial refrigeration systems. They have been in business for over 100 years, with a rich tradition of innovation, service, and technological advancement that continues into the 21st Century. 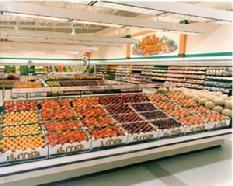 Displays prepared entrees, baked goods, meats, cheeses, pizzas and specialty products to their best advantage. Designed for easy customer access. Generate impulse sales, promote special events and seasonal themes.